Our mission at Green Builder Media is to affect meaningful, positive change for a better world. As advocates for sustainability, we provide mind--expanding information that catalyzes and inspires commitment to sustainable living. That every person live, work, and play in harmony with nature. 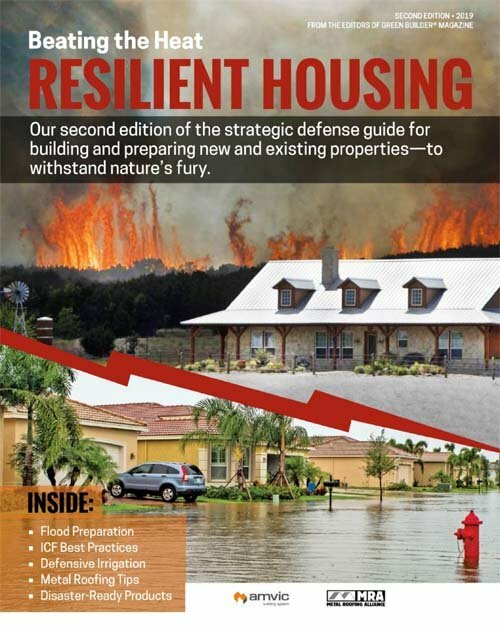 Green Builder® magazine is the building industry’s leading magazine focused on green building and sustainable development. Green Builder offers practical, cost--effective information to a community of the most advanced building professionals across the country. The magazine’s award--winning editorial team blends top--quality visionary content with sophisticated design to generate an unforgettable publication that addresses the most important issues of our time. We just won the gold for "Best Trade Magazine" for the third year in a row from the National Association of Real Estate Editors. We also took the gold in the latest FOLIO awards, for our visionary Celestia Project. Content Marketing is our latest shining star at Green Builder Media. Not only were we singled out by Hubspot as their "poster child" media company for content marketing at their sold out conference this year, we also just won Best Website from the NAREE. This was in large part because of our groundbreaking work in creating targeted, highly successful "microsites" and custom campaigns for leading manufacturers. Next time you look at your ROI for exhibiting at a trade show, run your marketing numbers with us. In most cases we can blow you away with the number of leads you can expect for a much more affordable price. Green Builder Consulting can help you take your company to the next level of sustainability. We'll talk with you about your comfort level with sustainability, appropriate messaging, your strengths and weaknesses and your greatest challenges. We'll provide realistic ideas and suggestions for how you can create a green strategy and environmentally appropriate products that will truly help to differentiate your company. The VISION House Series is comprised of demonstration homes built around the country that showcase the latest in green design, building techniques, and products. Each house utilizes site-specific solutions for key green building issues including energy use, water conservation, land use and orientation, waste management, indoor environment quality, and products and materials. The ReVISION House Series presents realistic remodeling options for American families. These projects provide real, cost--effective, sustainable solutions that are appropriate for today’s economy. Impact Series: Game Changers in Sustainability webinar series offers the most forward-thinking, innovative, and interesting content available today, the Impact Series reaches an active and engaged audience that cares deeply about sustainability. Speakers in 2014 include: Lester Brown, Bill McKibben, Jeremy Rifkin and Leigh Gallagher.